Temeku Chiropractic Orthopedic Clinic, based in Temecula, is adding a second office in Lake Elsinore to the leading network of doctors working on a lien basis. Dr. Anthony Young, D. C.
Doctors on Liens has announced that highly regarded chiropractor Dr. Anthony Young, DC and his team of medical doctors has opened a second office in the sought-after location of Lake Elsinore in the Inland Empire. Dr. Young, who joined the leading network of doctors and medical providers working on a lien basis in 2015, has a highly successful practice in Temecula and is very well respected by personal injury attorneys throughout Southern California. The team at Temeku Chiropractic and Orthopedic Clinic also offers a team of medical doctors including orthopedic surgeons and pain management physicians to provide comprehensive care to all types of injury patients. Dr. Young, who has treated over 18,000 patients over the last 28 years, is one of the most highly respected chiropractors in the Inland Empire med-legal community. His years of experience as a state appointed medical examiner, wealth of trial and deposition experience, and role as a Diplomate of the National Board of Chiropractic Examiners exemplify why clients of personal injury attorneys have long utilized Dr. Young in their recovery. 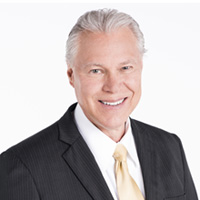 Working alongside Dr. Young is Dr. Ian Brodie, a board certified orthopedic surgeon who brings his own highly regarded reputation to the Doctors on Liens network. Dr. Brodie, a Fellow of the esteemed Royal College of Surgeons in London provides patients with orthopedic evaluations and treatment for major injuries. Dr. Brodie has a lengthy list of accolades including multiple hospital appointments, as well as past teaching positions at University of Southern California, Rancho Los Amigos Hospital, and L.A. County General Hospital. Doctors on Liens is an innovator in the medical lien specialty referral industry and has forged close relationships with both legal firms and medical practices over the past 20 years. Doctors on Liens features medical specialties including board certified orthopedic surgeons, neurologists, general practitioners, psychologists, and chiropractors. Each medical office is independently owned and operated and all appointments can be conveniently scheduled directly with the facility. Doctors on Liens lists medical professionals who offer medical services on a lien basis in Southern California, Central California, and Nevada.